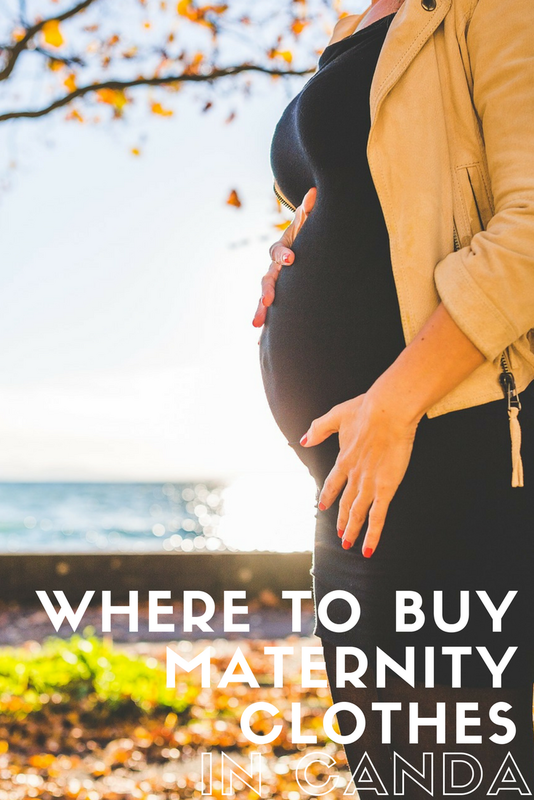 Last week my friend Sara wrote to me with this question - Did you ever buy any maternity clothes online? There is NOTHING here in Red Deer, AB and I am in need of a few things-jeans (not designer but decent fit) and maybe some longer tops/tunics. Any sites you would recommend?" Awesome question! I (heart) online shopping, and I know it's trickier to find Canadian stores online or sometimes even just stores that ship to Canada. Here's where I would start! 1. Thyme Maternity - This is where I bought my maternity jeans, a pair of dress pants for work, and a couple of tops. I like this long nursing tunic right now. I also got a super soft white t-shirt here and then paired it often with different cardigans I already had. They have free shipping on orders over $100. 2. Motherhood - This is another popular maternity store. I never picked up anything from here, but they have a Jessica Simpson line that has lots of longer tops that you may like. 3. To: Little Arrows - This Etsy store has the coziest t-shirts. I love this one! 4. Modern Mummy Maternity - Sara actually sent me the link for this one. Is it bad that I want to order one of these shirts, and I'm not even pregnant? These shirts are so stylish and also perfect for nursing. Sara got this one. I would get this one. 5. Séraphine - If you want to channel your inner Kate Middleton, check out this website. The Duchess was seen wearing each of the dresses below while pregnant. They ship to Canada. This sweater was also said to be on her shopping list, but I really like this light sweater. 6. Luna - This is a Canadian store I found where you can actually order some Séraphine pieces in Canada. 7. BabySteals - Babysteals.com is a discount website for baby/pregnancy items. Kind of like Groupon for baby stuff. You can find good maternity/nursing clothing here. The stock is constantly changing because of the nature of their deals and how their site works. Any other sites you know of to add to this list? It was fun to have my first reader question. Feel free to send more my way!